Hello everyone, Monica here today sharing a card I made using the partial die cut method and some new Hero Arts products. Be sure to check out the a2z store for some new goodies. 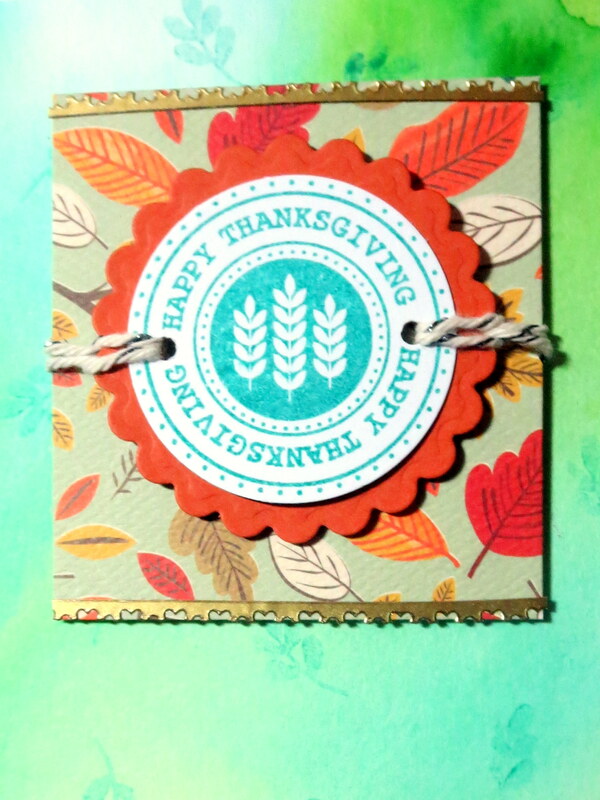 Categories: color layering, Handmade Cards, Hero Arts, Thanksgiving | Tags: a2z Scrapbooking Store, fall, Hero Arts, partial die cut, Thanksgiving | Permalink. Happy Sunday friends, Kristina here playing with the new Hero Arts Color Layering Grateful for You leaves! After seeing fellow DT member Iliana do some amazing things with this set here and here I knew I had to get my hands on it, I don’t think there is anything quite like it out there! To start my card I stamped and die cut a ton of the leaves using the Hero Arts “Fall” Color Layering Ink Cube set and diet cut them all out before arranging and assembling them onto my card front. A fairly quick and simple card. All supplies are linked below and many can be purchased in our store a2z scrapbooking supplies AND you can get 15% off if you spend $25+ using my discount code Kristina15. Want something you don’t see in store? Use the request custom order button and we’ll get it for you! Before I go, Don’t forget to join us in this months Tag challenge for your chance at a $25 giftcard to the store! 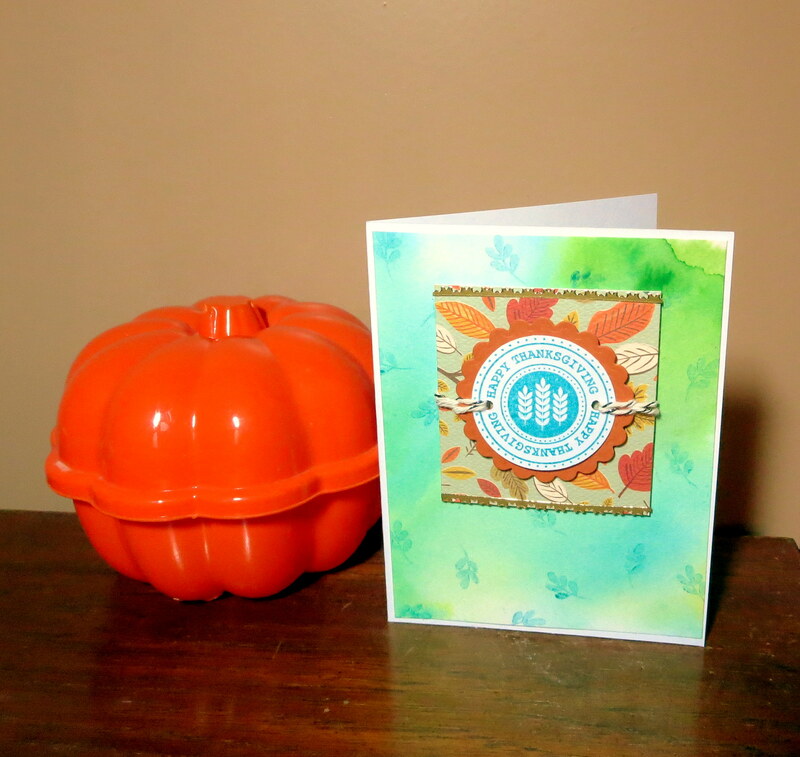 Categories: color layering, Handmade Cards, Hero Arts, Thanksgiving | Tags: color layering, fall, Kristina, leaves, Thanksigiving | Permalink. Hello everyone!!! Welcome to the month of November! Our new challenge is all about Holidays!!!!! The holidays are vastly approaching us. Are you ready with your holiday cards? We are here to inspire you to get on the ball. 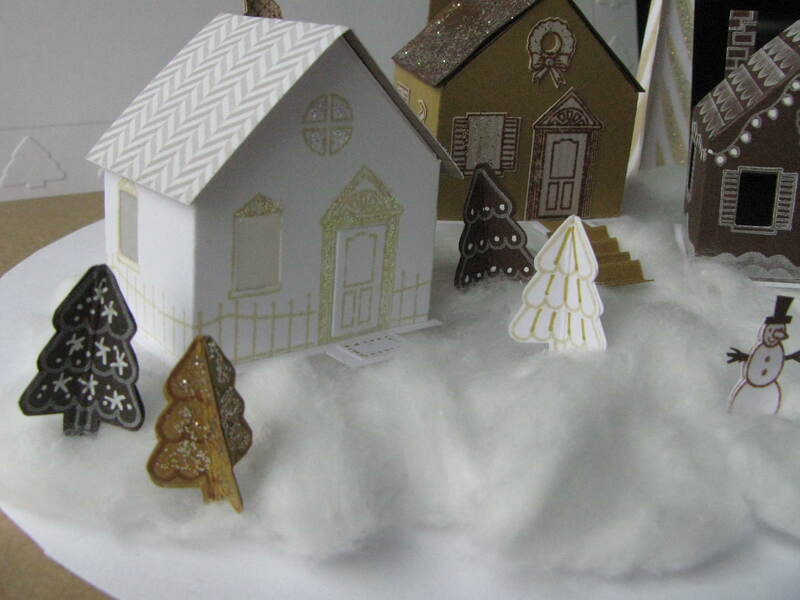 Our challenge this month is all about One Layer Holiday Cards!! Please be sure that your project contains at least ONE main HERO ART Product! This will be fun and interesting. This challenge will be fun and colorful. The DT has creating some awesome projects to inspire you to play along with us. Amazing isn’t it!! I hope you love what you see and that it inspires you to join us this month. You have the entire month to create a new project and enter it into Mr. Linky below. 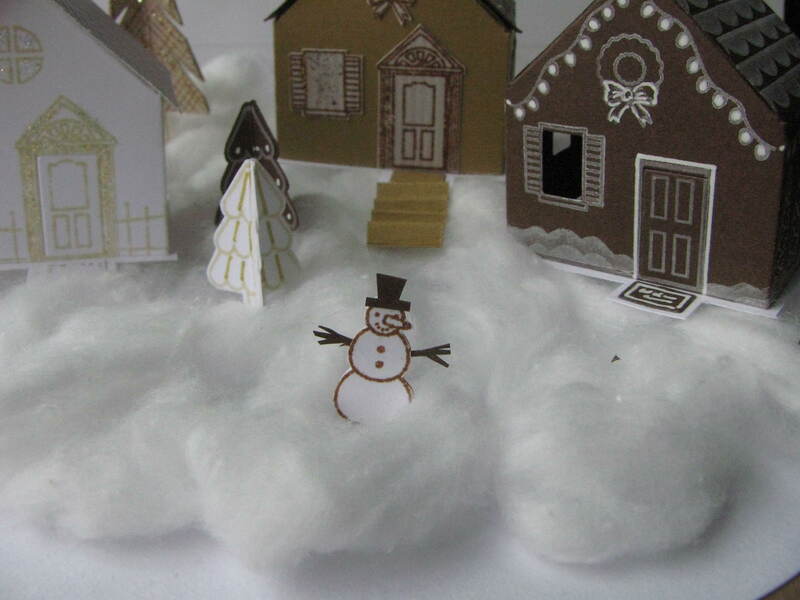 By entering you will have a chance to win a $25 Gift Certificate to the a2z Scrapbooking Store. One lucky winner will be announced on the 7th of December!! 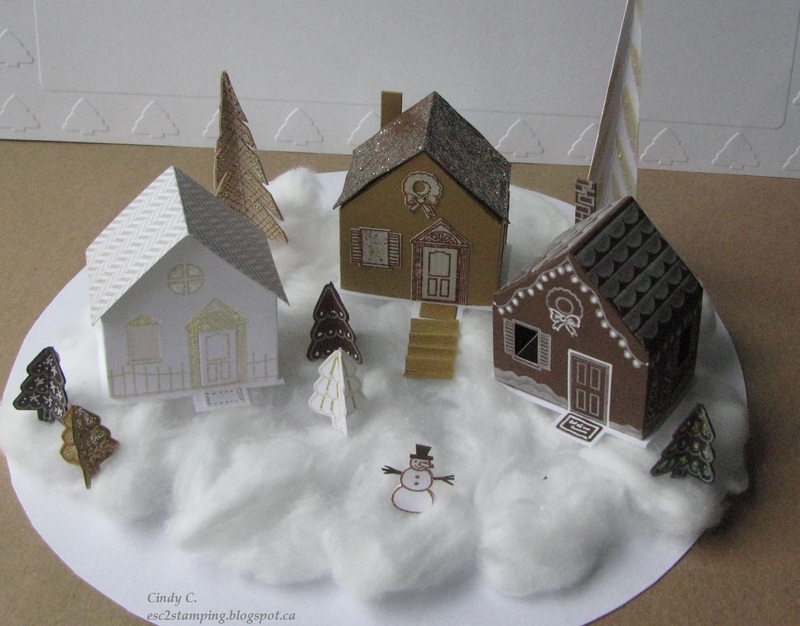 Categories: Handmade Cards | Tags: Christmas, fall, holiday, thanksgivings, Winter | Permalink. Hi, friends, it’s Chark here today and the leaves are turning here in Ohio and some are drifting to the ground. And, although that means raking, it’ll be quite some time before our trees are finished dropping those leaves. In the meantime, I’m thinking Thanksgiving, so I made a card to share with you today that’s all about fall. I used Peacock Feathers Distress Inks for the stamp, Carta Bella leaf paper and a watercolor (with Distress Inks) piece stamped with a tiny leaf from this Christmas Elf set. I love using stamps from one set for a whole different holiday…makes me feel like I’m getting my money’s worth! Here’s a close-up. Can you see the faint leaves on the watercolor? I inked the stamp and then stamped off onto scrap paper so it was lighter when I stamped on the card. Subtle but festive. I hope you’ll join in for the October All Things Fall challenge to try to win the $25 gift certificate. Break out your Hero Arts stamps and stencils and get to work! Link it up here by the end of the month to be entered. And don’t forget that we are on Twitter, Instagram and Facebook. Follow us on these different social media outlets so you won’t miss out on any fun promotions! Categories: Challenges, Watercolor | Tags: Autumn, card, chark, fall, leaves, Thanksgiving, Watercolor | Permalink. Happy to be here today to share a new card that I hope you’ll enjoy and one that I also hope will inspire you to join in our current FALL-Themed Challenge which started on October 1st. It’s hard to believe we are already halfway through October, but the good news is that you still have plenty of time to play along. Please be sure that your project includes at least ONE major HERO ARTS element and that you submit it to the Inlinkz Gallery, which you can link to directly from the my the right hand side bar. My card features one of my favorite new Stamp ‘n Cut Dies, called – Pierre Cut-Outs and is one of the super cute new designs by Lia. You’ll also find a link to this sweet little Monkey shown in my Inlinkz product list. I really love these combo sets and we have several varieties and styles all in the Store now, including some of the older sets which we already have on Sale, please be sure to stop by the SALE section for some great deals on those sets as well as some of Hero’s newly “Retired” products. I also want to once again note that you can find us many of the most popular social media sites, including Facebook, Twitter and Instagram, all the links are shown below my post and on our sidebar. If you are shopping, please feel free to use my DT Promo code LISAH15, whcih will save you 15% off any and ALL a2z Store Sales, (of $25 and up excluding shipping) in our ETSY Store! Happy Shopping and Happy Fall!! Categories: Handmade Cards | Tags: a2z Scrapbooking, a2z Scrapbooking Store, Autumn, Cards, Challenges, fall | Permalink. Hello everyone!!! Welcome to the month of October!! I hope you’re ready for the sweater weather because it’s here!! Our new challenge is all about the Fall!! The trees, leaves, colors, season changing, crisp air outside. Our challenge this month is all about All Things Fall!! We can’t wait to wee what you create!! Tim Holtz Distress Ink: Mustard Seed, Spiced Marmalade, Rusty Hinge, Fired Brick and gathered Twigs. 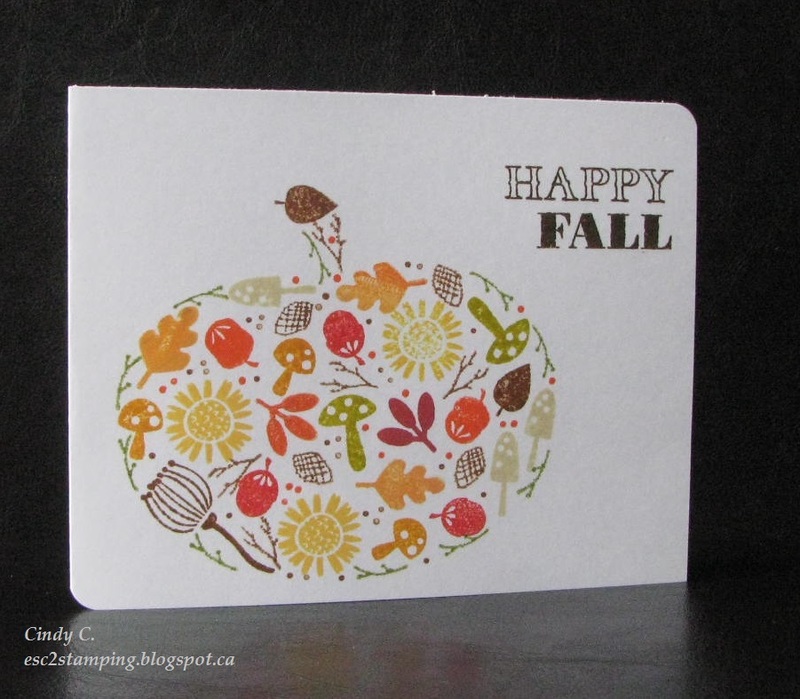 Categories: Handmade Cards | Tags: cactus, fall, leaves, pumpkin, trees | Permalink. Hello everyone! 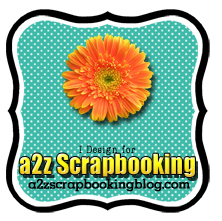 Greta here & I’m very excited to bring you my first card as a member of the a2z Scrapbooking Supplies DT. Those of us in the U.S. will soon be celebrating Thanksgiving. 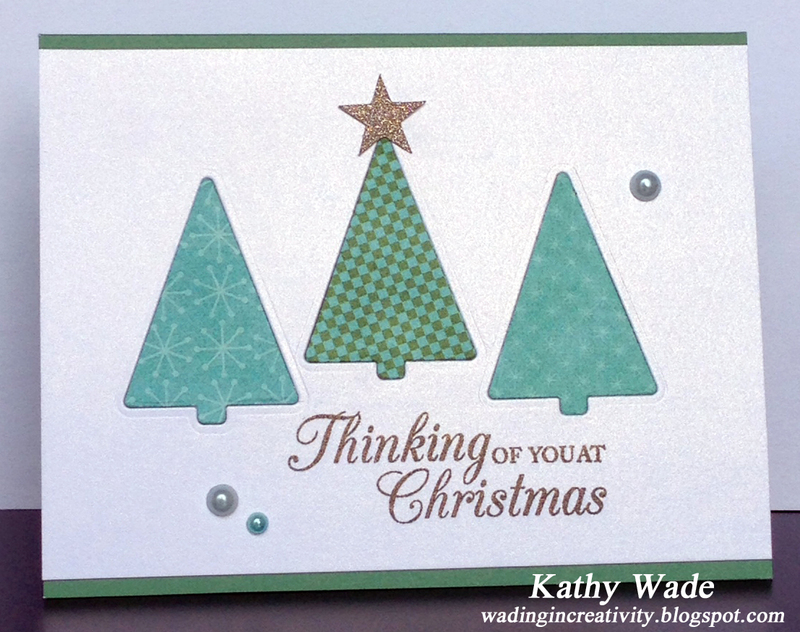 I wanted to show you that non-holiday stamps can be used with holiday colors to make a card. I heat embossed the Leafy Vines & sponged on 3 Distress Inks. Then I dry embossed the panel & sponged it with gold ink before inking the edges brown. The sentiment is stamped on a scrap, trimmed into a banner, sponged with gold & edged with brown. I wanted the card front to be a bit softer, so I also sponged it with gold. Hero Arts gems provide the embellishment. Our challenge this month is Anything Goes, so grab your Hero Arts products & play along. Check out the store and use my code, GRETA15, for 15% off a minimum $25 purchase. 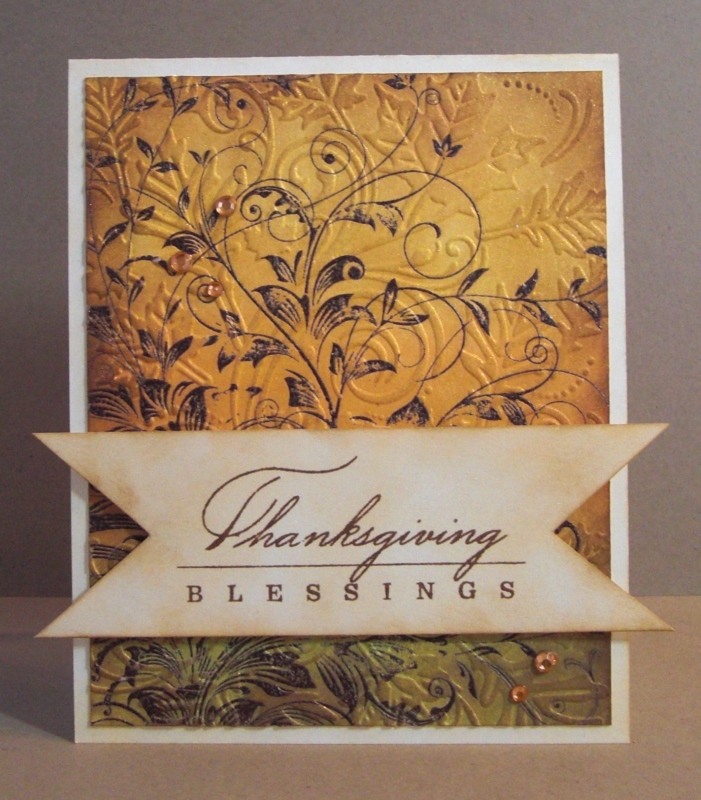 Categories: Handmade Cards | Tags: design team, embossing, fall, stamping, Thanksgiving | Permalink. Die Cut Trees and More Pumpkins! Hello! It’s Kathy here again. The challenge this month is to use two Hero Arts hard products (stamps, dies, etc.) Click here to see more details about the challenge and to link to your project if you would like to play along. I can’t wait to see what you make! Below are a couple of the cards I’ve created using this month’s theme. 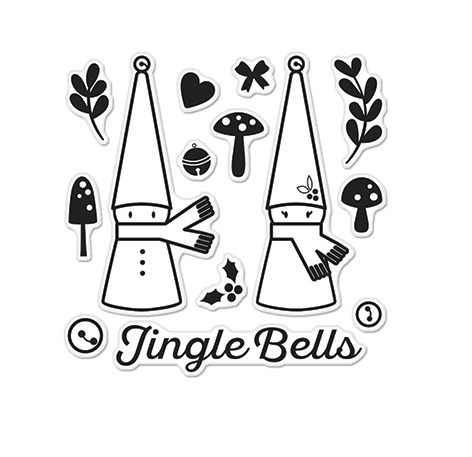 I can’t seem to put the Holiday Trees stamp and cut set down. On this card, I only used the dies and used the inlaid die technique. So first I cut the white shimmery paper. Then I carefully placed the tree die on the white paper and ran it through my Big Shot. I did this three times since I only have one tree die. 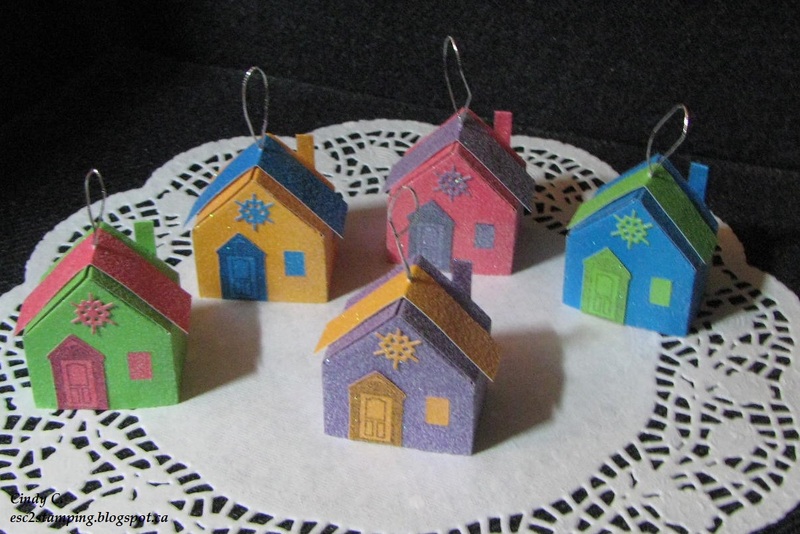 Next, I cut three different patterned papers with the tree die. 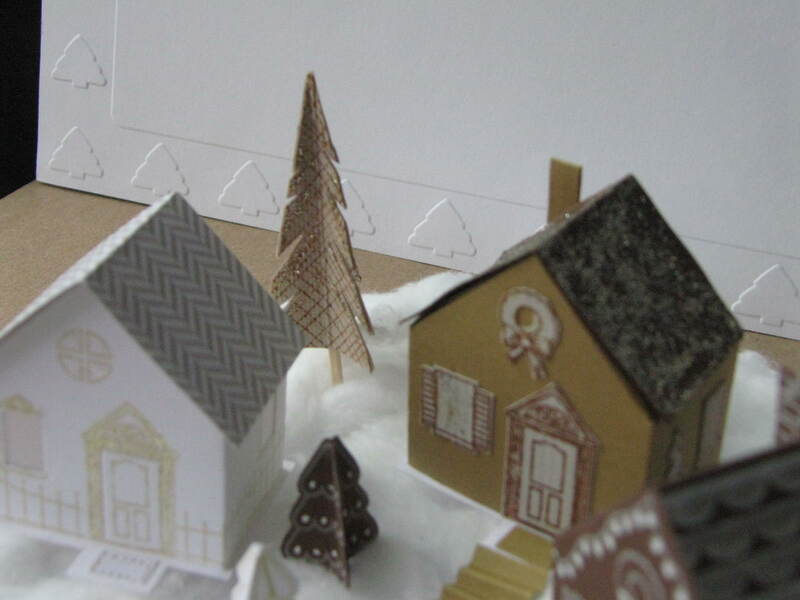 I adhered the white paper to my card base, then laid the patterned paper trees into the cut out spots. I then stamped the greeting and added embellishments. Such a fun technique! On the next card, I used the Hero Arts Thankful for You set, the Hero Arts Tag Collage set and the Hero Arts Enjoy Today set. 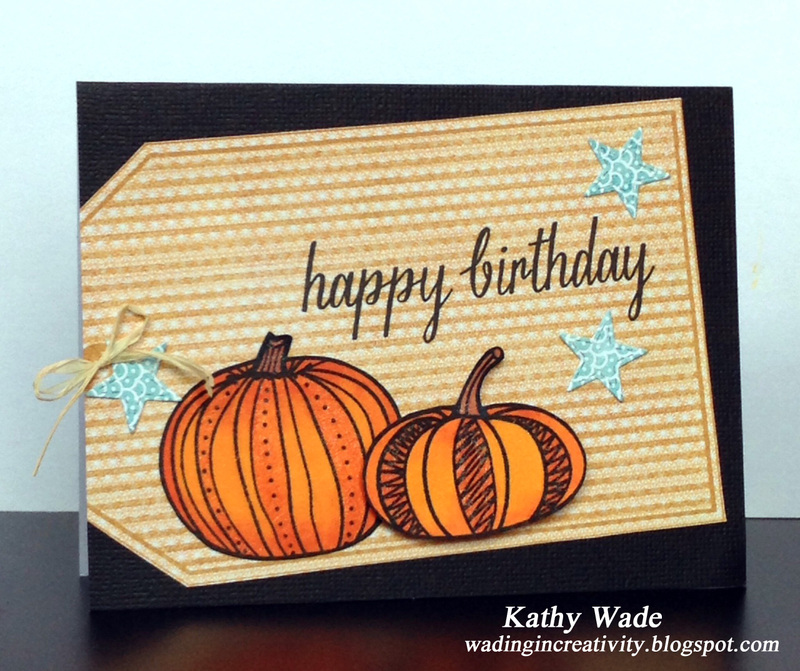 I stamped the big tag over patterned paper to give it a tone-on-tone effect. I used the mid-tone Pumpkin Pie ink. I stamped and colored the pumpkins with Copic markers and then cut them out. I die cut the stars and then put the card together. Easy peasy, as they say. 🙂 I stamped the greeting and also added a bow made of rafia. I’m going to send this for an upcoming October birthday. Also, don’t forget if you’d like to buy any products from the store, use the discount code, Kathy15 to get 15% off. There are some great Hero Arts products in the store! Categories: Birthday, Christmas | Tags: Birthday, Christmas, design team, fall, Kathy | Permalink.